Everyone wants peace of mind. Maybe you already have a roadside assistance plan but are not happy with it. We thought we could give you a few alternatives to AAA roadside assistance to check out a better option. Especially when it comes to family road trips or even daily drives through morning rush hour. The last thing we want to worry about is breaking down on the side of the road. Whether you’ve got a flat tire, a dead battery, lost your car keys, or an overheating engine, AAA has long been “the” name in the roadside assistance industry. But just because they’ve built up brand recognition and have millions to invest in advertising doesn’t mean that they are your ONLY choice. There are many alternatives to AAA roadside assistance, however, comparing all the pros and cons of each plan can be a daunting task. And according to Consumer Affairs, where AAA scores 1 out of 5 stars based on more than 1,000 reviews, we can say with certainty that there are much better companies to have your back when your old jalopy finally keels over and putters to a stop. Better World Club is the only auto club in the U.S. that specifically prides itself on environmentally friendly green practices. They offer roadside assistance for cars, motorcycles, RVs, and even bikes! You know, old-fashioned pedal-powered bicycles. Better World Club is the perfect alternative to AAA for anyone looking to get excellent customer service and save the planet. As regular donors to a wide range of environmental causes, Better World Club really does promise to build a better world, one tire change at a time. If you’re lucky enough to have Allstate as your auto insurance provider, you get their roadside assistance free of charge (or at least hidden away in your premiums somewhere). The rest of us schmucks can get the service by subscribing to Allstate Motor Club, which includes not only roadside assistance but also sweet deals on hotels and vacations. The great thing about Allstate is that you can get 24/7 roadside assistance even if you aren’t a member through their Good Hands Rescue Program. Just give them a call or use the Allstate app, and help is on its way in no time. You pay-as-you-go with Good Hands Rescue, so you’ll only be charged when you need assistance. Okay, so Better World Club and Allstate are pretty good alternatives to AAA roadside assistance, but they still cost you something. All for the low, low cost of zero dollars. That’s exactly what CarDash promises to deliver. CarDash is a brand new app for Apple and Android devices that calls roadside assistance at the tap of a finger. While the app will eventually be paid, during its launch phase it is free to the first 10,000 customers. But that’s just the cost of the download. Your actual roadside assistance will never cost you a thing. How’s that for an alternative to AAA? CarDash is so much more than an S.O.S. during breakdowns. It’s an all-in-one auto care savings app. 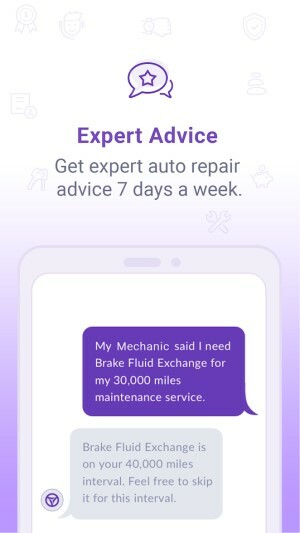 Not only can you get expert auto advice directly from your smartphone, but they’ve even partnered with local mechanics to earn you up to 10% cash back on oil changes, tire rotations, and other car repairs and maintenance. Remember that only the first 10,000 downloads are free. So if you’ve been looking for a way to make car ownership more affordable, with the peace of mind that you’ve got expert roadside assistance, download CarDash today! It’s simply the best when looking for alternatives to AAA roadside assistance.